Star Tours is a motion base show in Tomorrowland at Tokyo Disneyland. While it's not the best, it is also recommended. The minimum height to ride is 40 inches. 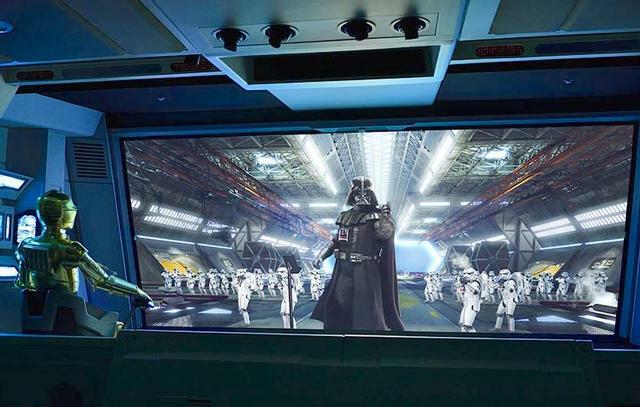 In April 2013, Tokyo Disneyland updated its version of Star Tours to the new "Adventures Continue" multiple-versions edition that debuted in 2011 in Disney's U.S. theme parks. You've got 55 potential combinations of adventures and characters on this Star Wars-themed motion simulator attraction.